based in Europe, Germany, Turkey, USA & India too. RadheShyam Investment Casting is a group company of a Radheshyam Cotton Pvt. Ltd. (Raw Cotton Manufacturer) Founded in the year 2016 with young, dynamic & professional technocrats; Radheshyam Investment Casting has reached to a position where 20 Tons per month of Investment Castings (also known as Lost Wax / Micro Fusion Castings) and Precision Machining Parts are supplied worldwide. 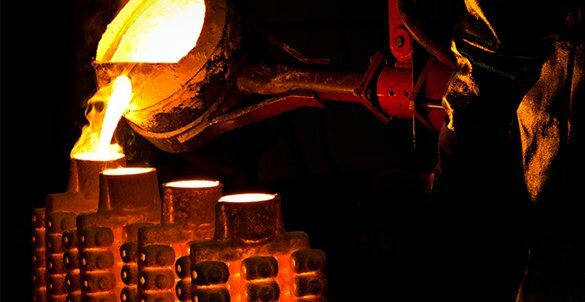 Quality of our Investment Casting Products are used for pump & valve, Pharma, fire fighting and general engineering equipments, food processing machinery, earth moving and construction equipment parts, automobile and defence machineries and have been widely acknowledged to the entire satisfaction of our clients and customers based in Europe, Germany, Turkey, USA & India too. The quality, service and timely deliveries give us a distinct status in our field and discipline in our country. Subscribe now an receive the latest news and updates!